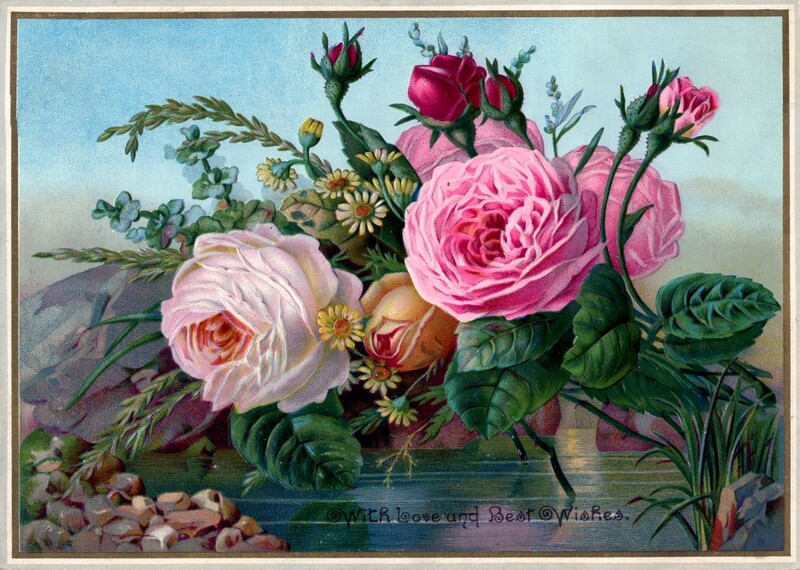 This Free Public Domain Vintage image shows some Stunning Flowers!! Isn’t this one fabulous?!! Shown above are some gorgeous Cabbage Roses in pale pink, bright pink and soft apricot, set in front of a lovely blue sky. The colors are truly amazing on this one! I’m not sure of the exact date on this one, but I’m pretty sure that it’s at least 100 years old. 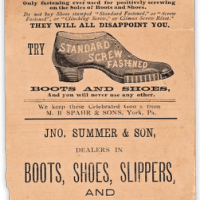 This was used as an Advertising Trade Card, back in the day. A nice Vintage Image for your Garden style projects. This is gorgeous Karen! Thank you! I love your images and want to thank you so much for sharing. One question, do you look at the ads on your site? Under the section you might also like was one for 20 Kissing Techniques for any Occaision. Just thought that was a little strange to see on a site like yours. Maybe it’s just me, but not what I expected. Thank you again for sharing these wonderful images with the world. Oh this one is lovely! Thanks!! this is magnificent. thank you so much for sharing. How lovely! We are going to have fun with this. Thank you! So lovely roses and beutiful colors! Roses are one of my favourites flowers. Thanks a lot for share it. Hugs! Thanks so much for sharing these images! Thank you so much for these beautiful roses!